Local charity, Need a Feed has partnered with The Illawarra Credit Union for the November pre-Christmas food drive. Non-perishable food can be dropped off at ICU branches from Helensburgh to Warilla for the November Need a Feed event. Need a Feed aims to support 200 families in need with a food parcel on November the 14th 2013. 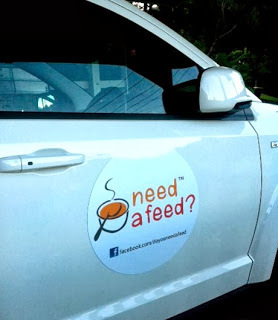 You can help Need a Feed to reach their goal by purchasing an extra can of food when you shop! To register for a food parcel please call Bellambi Neighbourhood Centre – 4285 3055. Northern Illawarra Neighbour Aid is taking food parcel registrations for the 2508 area – please call 4294 1900 if you require food support. A fitness bootcamp is being held on the 26th of October at Ocean Park Woonona, with Tiv at Step into Life. All funds raised go directly to Need a Feed supporting their food programs. For more information and to register contact Tiv on – 0404 078 294 ($20 fee, includes a T-shirt). Need a Feed was established by Shaz Harrison-Shaw with the intention to provide a food parcel to individuals and families in times of need. Her goal is to expand the organisation by building a support network for people in need. To date, Need a Feed has supported hundreds of families with a food parcel.” Our vision for the future is to not only support hundreds, but thousands of families and individuals in need” commented Ms Harrison-Shaw. With the help of Tiv and organisations such as ICU Need a Feed will reach their goals to support the locals in times of need.